Two beautiful books arrived in my letter box over the past week or so which deserve a mention. Sweet & Simple Handmade is by Melissa Wastney, a collection of her projects and patterns that she uses over on her blog Tiny Happy. 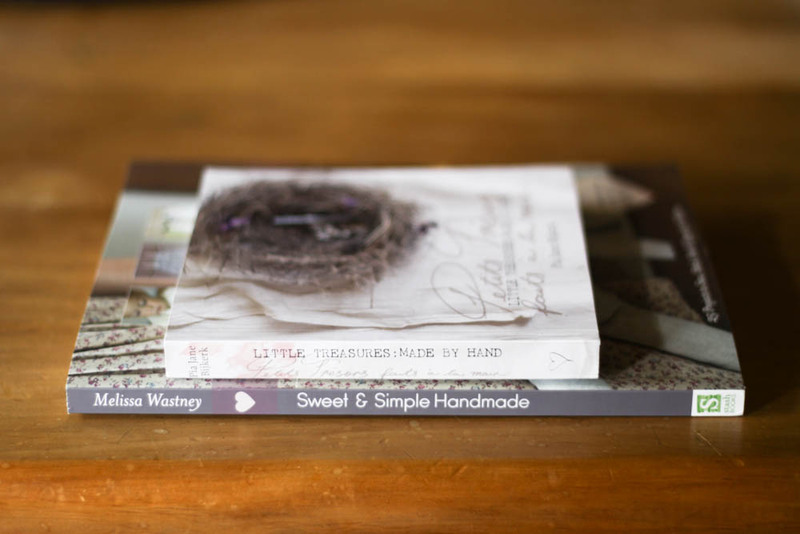 I've followed Melissa's blog for so long, and even tried my hand at a few of her tutorials so I knew her book would be a wonderful collation of her projects. What surprised me however was just how inspired I was by the book- how it really made me want to sew for my son and myself. And also to embrace the value of handmade objects. It really is lovely book, a beautiful gift maybe for a new mother or grandmother-to-be. You can buy a copy here in her Etsy shop. Little Treasures: Made by hand by Pia Jane Bijerk is a celebration her little girl Laly, and the handmade gifts that she received when she was born. Pia shares her photos and the stories behind each gift. It's a delicate work of love and it reminds me vividly of the early days of motherhood when everything is so precious and tiny. It's an amazing feat of Pia to have published this herself in the first year of motherhood! We left Max's slippers in Napier last weekend and although they'll show up soon, he needed something to keep his toes warm. 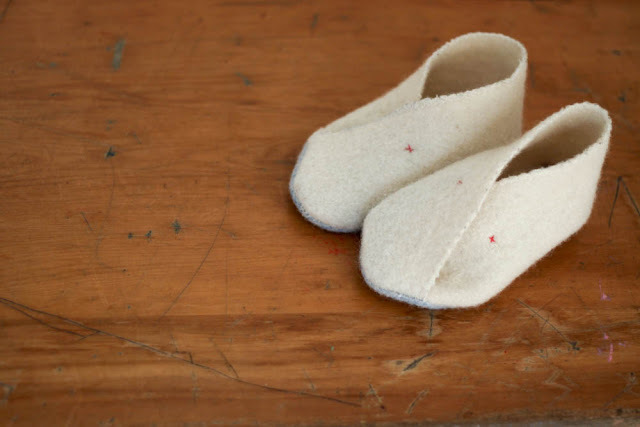 I made him these little slippers out of an old woolen blanket, using this tutorial as a guide.